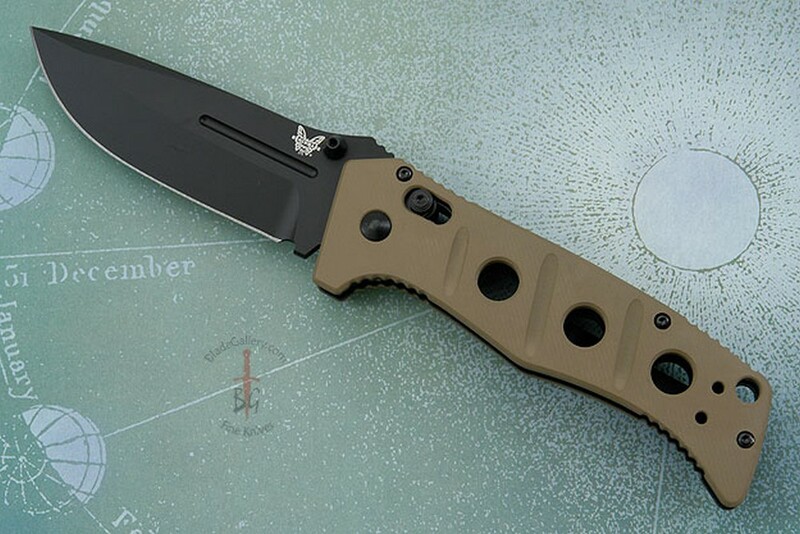 Description: The Adamas series of knives was designed by custom knife maker Shane Sibert to honor the courage and commitment exhibited by our fighting heroes. 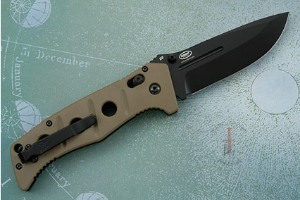 This folding knife has a desert sand colored G10 handle with a lanyard hole and full stainless steel liners. 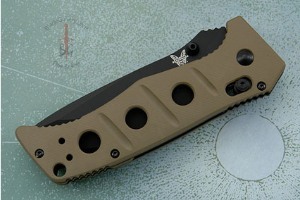 The handle incorporates the simple but strong AXIS locking mechanism. The blade is tough D2 semi-stainless steel, with a black BK coated plain edge and ambidextrous thumb-stud openers. 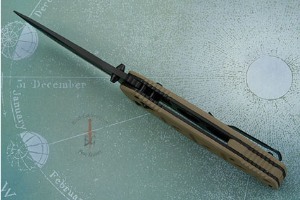 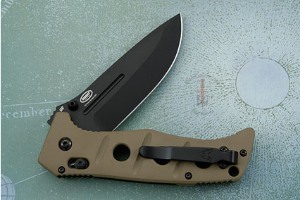 Blade shape is a tactical drop-point style. 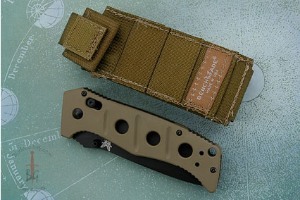 A reversible deep-carry pocket clip is mounted for tip-up carry.